During this half term, Nursery pupils will learn about Africa and different African animals, concentrating on the Power of Reading book ‘Anna Hibiscus’ Song’. This is a story of a little girl called Anna, who is very happy! She is so happy, that she can’t quite decide what to do with herself. So, she is turns to her family members for help. We will hear about Anna’s adventures and we will learn the song that Anna sings while she is sitting in her mango tree. This term, the pupils will be given lots of opportunities to practice writing cards, messages and notes for the people they love. The pupils will have opportunities to speak about their feelings. We will create animals using junk modelling and pictures of different animal prints. In the outdoor area, we will have an ‘Airport’ role play area, in which the pupils can re- enact how they would travel to Africa by pretending to be pilots, passengers and airport members of staff. We look forward to reading lots of different stories about different countries around the world and we will look closely at animals that live in Africa. There will also be a ‘Travel Agent Office’ role-play area indoors, where the pupils can also use their imagination to recreate roles and sell holidays. In Maths, we will focus our learning on numbers. 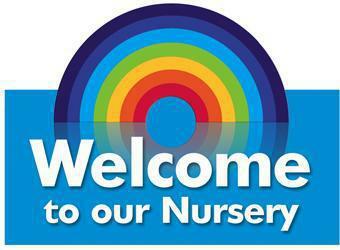 We will learn how to recite numbers from 1-10 and recognise numerals from 1-5. Finally, we will continue to come together for group carpet sessions in which we learn through stories, songs and group discussions. This final term we are carrying out more concentrated phonics groups to help with learning letters and sounds. Look at our outstanding Nursery environment!